When you are a freelancer, trying to find work that suits your needs, experience and expertise can be a little bit of a challenging task. Yes, the internet is full of jobs and opportunities. However, it can sometimes feel like trying to find a needle in a haystack to find the right freelance job for yourself. After all, there are tens, if not hundreds, of websites that all offer job boards to find the right freelance job for you (as well as equally being the same amount of websites to submit freelancing vacancies to, to find the right person for the role). With this, here are some of the best websites to look to get a job as a freelancer (as well as promote jobs on offer to gain freelancers), based on my personal experience. There are many websites out there that have job boards for freelancers to sift through potential vacancies – none have I found to be as densely packed with jobs as Problogger. It was actually through Problogger where I managed to get my first freelancing job several years back. As well as this, Problogger is great for attracting talent. 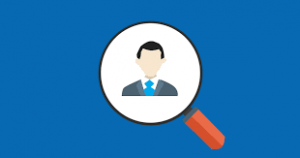 With the job board being full of jobs and a place people go to advertise vacancies, there are always many people that are applicable to apply for your job. For example, with my poetry website, I put a vacancy up as a freelancer for the website and received literally hundreds of applications from really talented writers! Upwork is a stand alone website for hiring freelancers (whereas Problogger is firstly a blogging website and has Problogger Job Boards as an add-on to the website). Upwork is a very professional way of finding the right quality freelancer at the right price bracket that you can afford. This also makes it a great place to have accounts as freelancers. The only problem being that the work is very stop/start and cannot be guaranteed. But, as your reputation increases, so will your workload. Guru is another type of website like Upwork. In general, it is better to be on as many websites looking for work as possible, to increase your chances of landing a ‘gig’. Guru has over 3 million members worldwide, 1 million jobs completed and $250 million paid to ‘Gurus’ (aka freelancers). Fiverr is a website where you get some really good work from freelancers for a base price of a five dollars. You can get add ons (such as more words for more than five dollars). But, the whole basis of the website is that everything costs, at first, five dollars. This will not always guarantee you the best content. If you need certain content on the ‘one-0ff’, then Fiverr is a pretty good bet to finding the right person for the job.